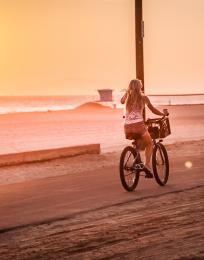 Huntington Beach is the official Surf City USA—for good reason. Our rich surf heritage dates all the way back to 1914, when George “Father of Modern Surfing" Freeth first demonstrated surfing at the pier. Since then, the city’s surf culture has evolved through decades of legendary surfers, surf shops, surfboard shapers, and surfing contests. Evidence of our epic history can be seen all over town, from the Surfing Walk of Fame (along the sidewalk next to Jack’s Surfboards), Surfers’ Hall of Fame (in front of Huntington Surf & Sport), and, of course, the International Surfing Museum (http://www.surfingmuseum.org/). 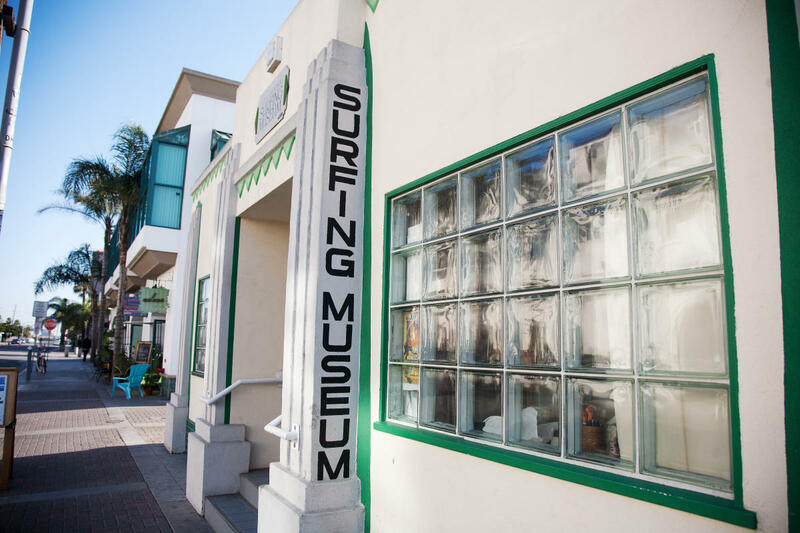 Founded by surf lover Natalie Kotsch in 1987, the renovated nonprofit museum has since seen countless rotating exhibits celebrating the past, present, and future of surfing. 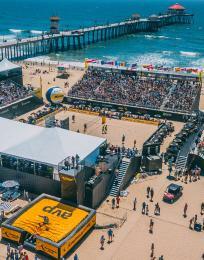 Murals of surfers and surfboard evolution adorn the iconic art deco building’s exterior, and above the free parking lot, you can’t miss the World’s Largest Surfboard, proudly holding the Guinness World Record at 42 feet long, 11 feet wide, 16 inches thick, and a whopping 1,300 pounds. Inside you’ll find some of the best surf culture memorabilia in the world. 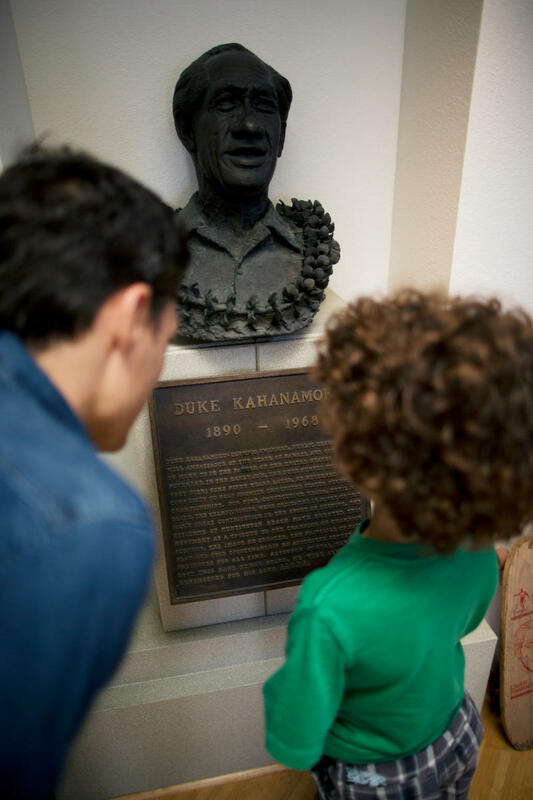 Relics like Duke Kahanamoku’s and George Freeth’s surfboards, a cornerstone from the 1914 Huntington Beach Pier, and a catalogue of surf rags, from The Surfer’s Journal to Surfer, make up the permanent collection—as do numerous donated surfboards hanging from the rafters. Also housed inside is a cozy theater, a gift shop, and a Welcome Center stocking free maps, guides, and brochures all about Surf City USA. Carefully curated exhibits punctuate the museum’s mission statement: “Preserving our history, culture and looking towards the future of surfing while protecting our surfing playgrounds and supporting our next generation of groms.” Currently on display is “Celebrating 40 Years of NSSA: Raising World Champions & Industry Leaders.” The National Scholastic Surfing Association (NSSA) is the highest profile amateur competitive surfing association in the country. Stay tuned for details on incoming exhibits. 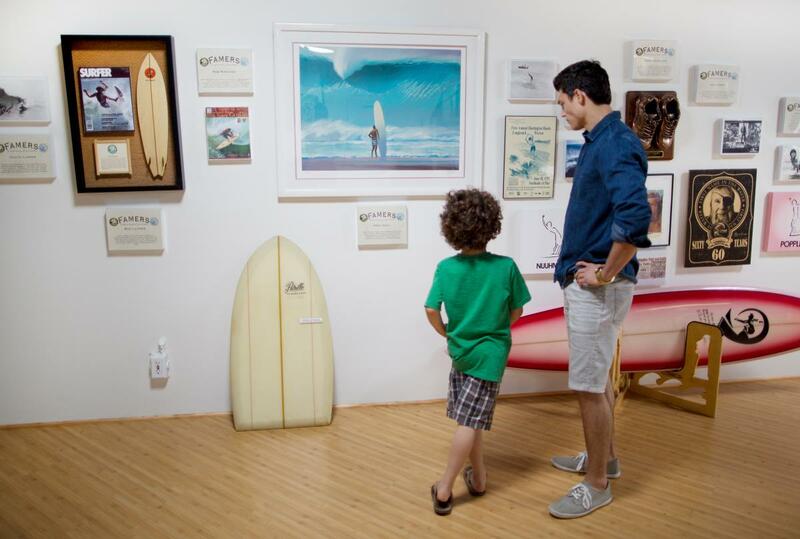 The museum also hosts various events throughout the year, including the annual Surfin’ Sundays. 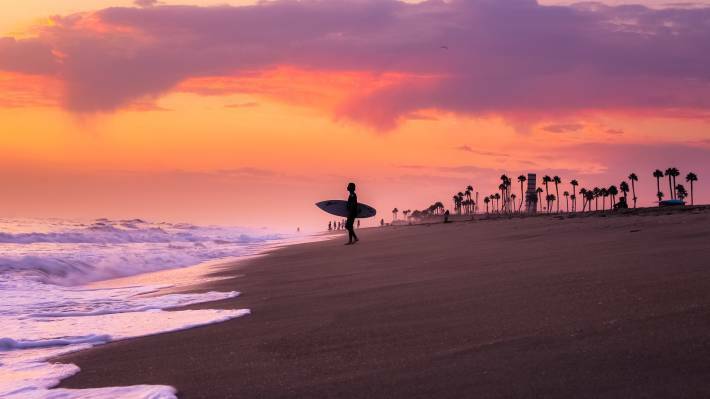 Held at the Huntington Beach Pier, the rockin’ concert series features live surf music with the Pacific Ocean as its backdrop. Family-friendly and free, the 2019 lineup entertains once a month from 11 a.m.- 6 p.m. 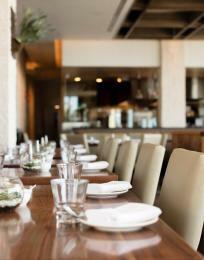 Dates are May 26, June 30, July 21, August 25, September 22, and October 13. Also on Sundays, the museum’s parking lot sees a gathering of the H2O Community Church from 10:30-11:30 a.m. Formerly led by the late Hawaiian pastor and local surfer Blaine “Sumo” Sato, the group continues to meet weekly and is open to all. 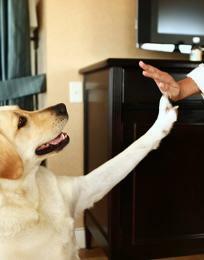 Admission to the dog-friendly museum is a $3 donation, and service members, veterans, and groms 18 and under enter for free. Hours are noon-5 p.m. daily, and the museum is closed on Mondays. 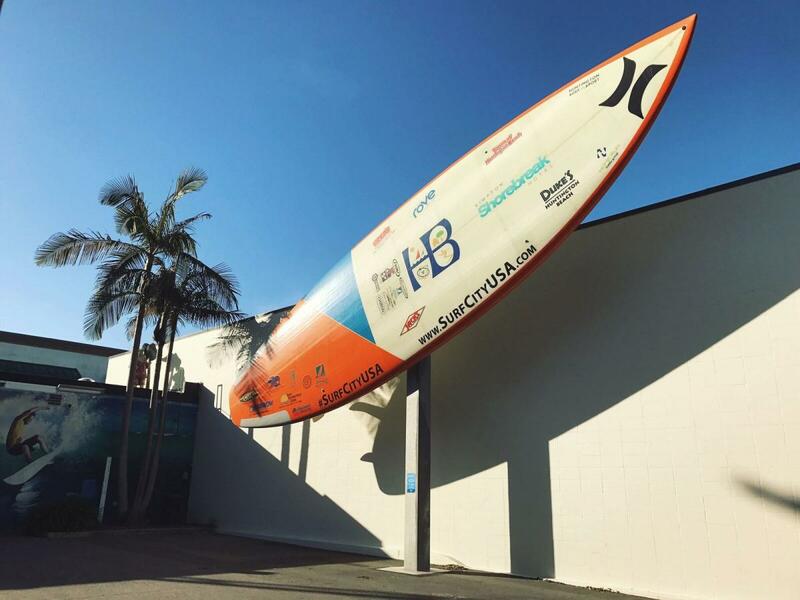 The museum is located at 411 Olive Avenue, Huntington Beach, CA 92648, at the corner of Olive and 5th Street. Contact the museum at 714-465-4350. One thing is certain: If you’re not a fan of surfing upon entry, you will be when you leave.